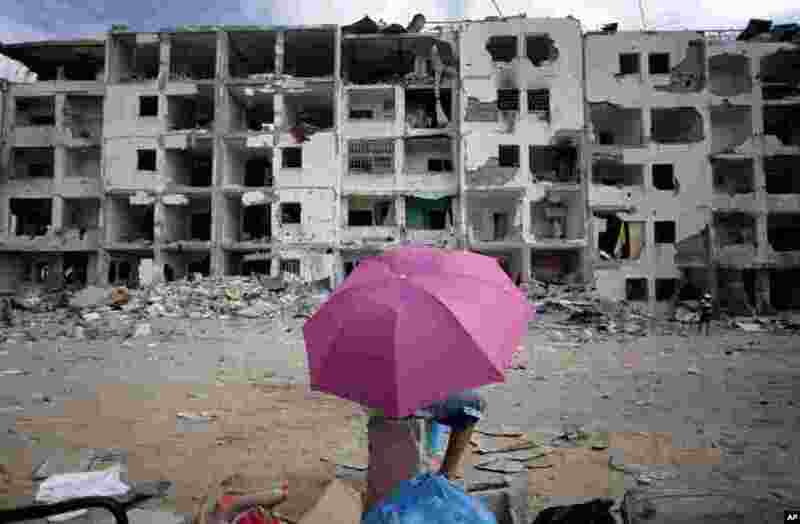 1 A Palestinian boy holds an umbrella as he rests in front of the damaged Nada Towers residential neighborhood in the town of Beit Lahiya, northern Gaza Strip, Aug. 11, 2014. 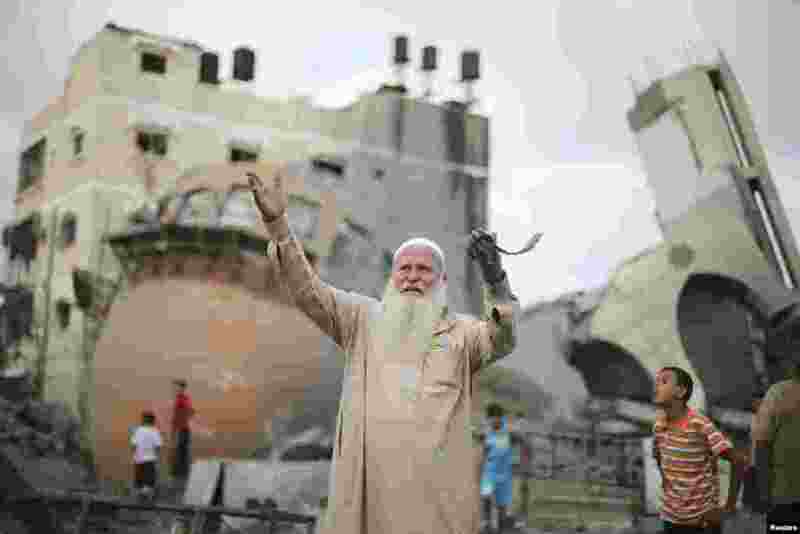 2 A Palestinian in front of the remains of a mosque that was destroyed in an Israeli air strike before the latest 72-hour truce, in Khan Younis in the southern Gaza Strip, Aug. 11, 2014. 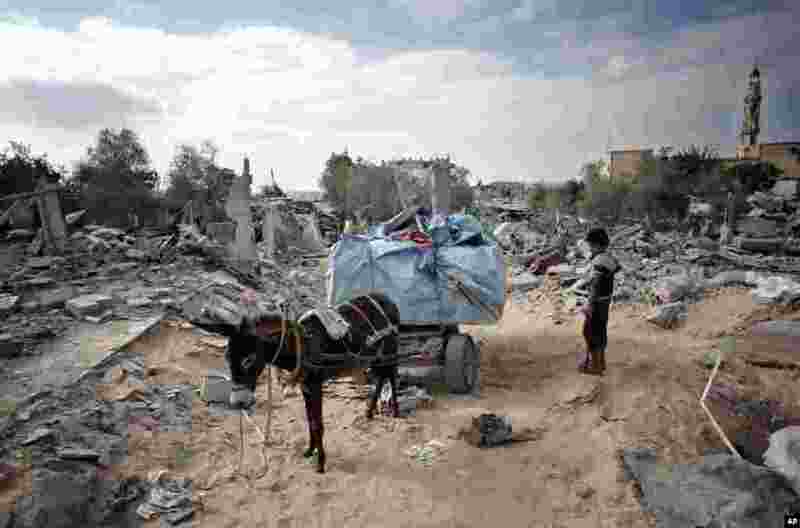 3 A Palestinian boy stands next to a donkey cart loaded with salvaged belongings from his family's destroyed house in the town of Beit Lahiya, northern Gaza Strip, Monday, Aug. 11, 2014. 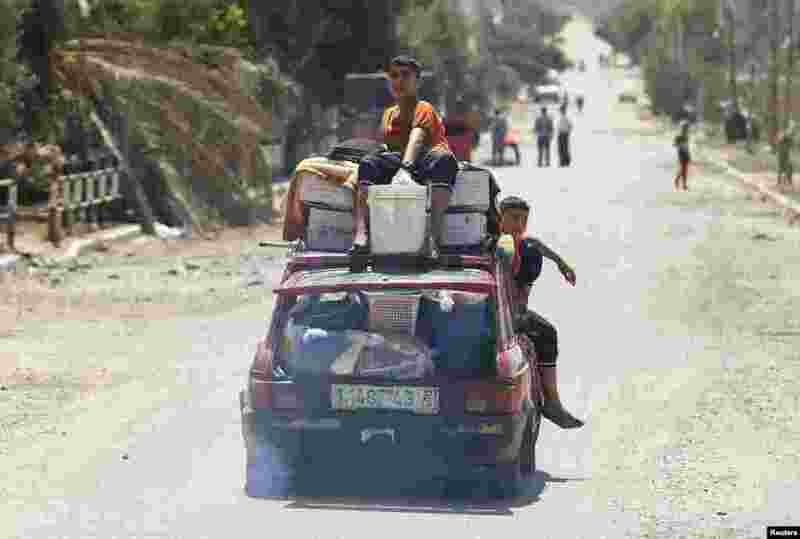 4 Palestinians returning to their house during a 72-hour truce in Beit Hanoun town, which was heavily hit by Israeli shelling and air strikes during the Israeli offensive, in the northern Gaza Strip, Aug. 11, 2014.